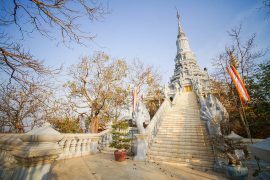 When you are booking your Cambodian holiday it is worth knowing what are the important festivals and events throughout the year. Some people may wish to plan their journey around one of these festivals while others may wish to avoid travelling during these busier times. Between the middle of January and the middle of February it is the Chinese New Year, called by the Cambodian people “Chaul Chnam Chen”. The shops of Phnom Penh essentially run by Chinese people close and the Vietnamese people go back to Vietnam for a few days for the Tet celebration. 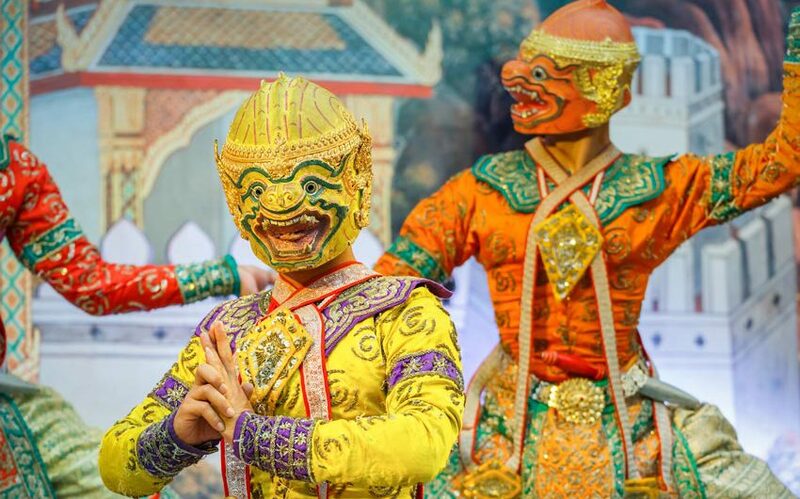 Dance of the dragon takes place in the streets of Phnom Penh and people make offerings to the divinities. At the end of February takes place a race of cyclo-pousse in Phnom Penh, in the district of the Royal Palace. The first rally took place in 1993 on the initiative of Serge Chevalier (a French baker) and the Ministry of the Tourism. Each year, the CIFF takes place in Phnom Penh. This festival is organized since 2010 by Bophana Audiovisual Resource Center and the Cambodia Film Commission. It is the most significant professional film event in Cambodia. The program highlights movies made in or about Cambodia but also a selection of films from the world. The event lasts for one week and the movies are screened in the best cinemas of Phnom Penh. The entrance is free to offer to everyone access to this cultural event. In the middle of April it is the Khmer New Year (Chaul Chnam Khmer), the event is the most important of the calendar. It marks the end of the dry season. The festivities last 3 days during which the Cambodian people go to the temples to make offerings, exchange presents and organize copious meals. The atmosphere is joyful, in particular in the provinces where the villagers are engaged in battles of water and numerous games in the street. A lot of Cambodian people come in large numbers to Angkor Wat so it is not the best period to visit the temples. At the beginning of May, there is the celebration of the Buddha (Visakha Puja). People celebrate his birth, his illumination and his death in temples. The eighth day of the fourth lunar month is a breathtaking time to visit Angkor Wat as the monks make processions with torches through this ancient wonder of the world. The 9th May represents the memorial day for the genocide. A tribute is organized on this day for the numerous victims of the Khmer Rouge. The ceremony that is the most touching takes place to the memorial service at Choeung Ek known also as the Genocide Museum. In May, there is also the ceremony of the sacred furrow. Conducted by the royal family, this ceremony is a ritual which marks the beginning of the rice plantation. It takes place in front of the National Museum, in Phnom Penh. According to the tradition, the royal cattle would foresee if the rice crop was going to be good or bad. On the 14th May, Cambodia celebrates the birthday of the king Norodom Sihamoni. A flame is lit under the Independence Monument. This event takes place every year, in the month of June in Phnom Penh. This running is organized by Cambodian Events Organizer since 2011. It is celebrating the birthday of Queen Norodom Monineath Sihanouk. It supports also Kantha Bopha Children’s Hospitals and for the green city to improve human well-being and friendship. The event offers three categories of running: the 3 Km Fun Run, the 10 Km Road Race and the Half Marathon distance of 21, 5 Km. All the participants are welcome and have to register online at least 10 days before. This event is organized by the Indian embassy and supported by Bophana Audiovisual Resource Center, the Cambodia Film Commission and the Ministry of Culture and Fine Arts of Cambodia. The festival lasts one week and presents Indian films including classics, blockbusters and awarded winning films, screened in the prestigious Chaktomuk Theater. The overall selection is very audience friendly with some-family oriented films as well as typical and non-typical Bollywood comedy actions, musical and drama. The entrance is free for everyone. You can check the dates on the Indian Embassy Website’s. 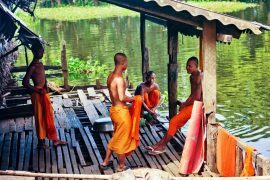 During this celebration, called “Phchoum Ben”, Cambodian people pay tribute to the spirit of their ancestors who have passed on. They make offerings in the temples (flowers, money, altar candle and incense) but also drinks and food are given to the monks. The celebration lasts numerous days, during which the Buddhist believers have to visit seven temples. The belief says that if the spirits don’t see their family make offerings in a temple, the spirit will come to bother the family during the year. This celebration marks the inversion of the Tonlé Sap, a remarkable natural phenomenon where the flow of the river changes direction. It is one of the most important events of the calendar. Boat races take place on the Tonlé Sap and the river in Siem Reap. Each boat is decorated and driven by 40 rowers. Up to two million people come into the capital to attend this event. Unfortunately, in 2010, a crush on the bridge linking Koh Pich and the city resulted in the death of 350 people. This event has run since 1995 and supports the victims of the anti-personnel mines, offering them prosthesis. People can choose between a half marathon (21km), a shorter race of 10km or a running of 5km just for women.